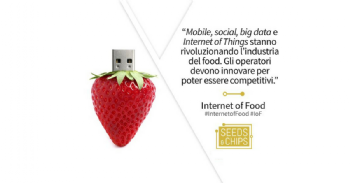 The IoF2020 (Internet of Food & Farm 2020) project is a four-year project framed within the Horizon2020 Framework for Research and Innovation Program, which started in January 2017 and is still in the preliminary phase. The project (not exclusive to the wine field) includes 73 partners, and is divided in 19 sub-projects finalized to ensure safety and to enhance competitiveness in the agri-food sector. The common aspect of all these projects is the use of the Internet of Things, technologies that allow machines to interact with the web in real time. The "Big Wine Optimization" project is the only one in the wine sector and sees Vinidea and Isvea as Italian partners. In this video seminar, Stefano Ferrari (ISVEA) briefly presents the general goals and expected benefits at the end of the research.